An emergency patient is not able to select the optimal hospital for his emergency in an unknown area. The aim of this research is to study what variables can be used as reference by Emergency Medical Services (EMS) to make decision and to create a computational model to direct the emergency patients to most appropriate hospital. The main purpose of this study is to assist with emergency hospital resources management, to identify variable with significant role in decision making. 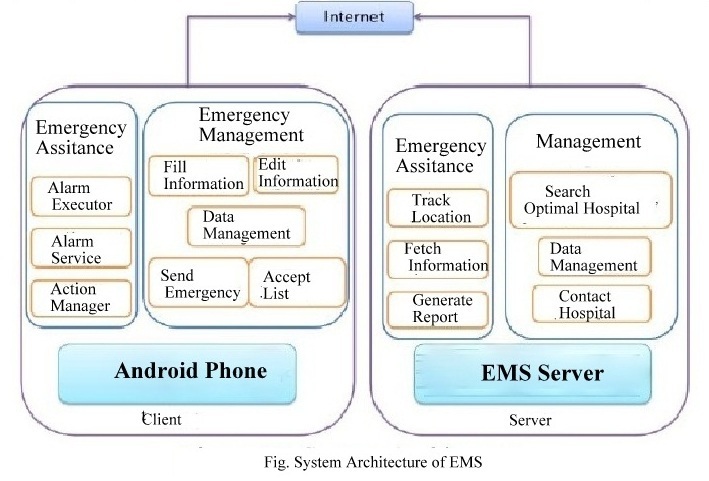 An EMS has been proposed and designed to facilitate and computerize all the processes involved in an emergency. The proposed system contacts the ambulance emergency system, locates the correct and nearest available hospital, accesses a Electronic Health Record (EHR) that can critically assist in pre-hospital treatments, and identifies availability of the nearest available specialized hospital all through EMS server which provides early and continuous information about the incoming patient to the hospital. Emerging and advanced technologies such as mobile web services, android and GPS have been extensively used to design, develop and integrate all system components. The Emergency Management System (EMS) is a system which is developed to deal with the various medical emergencies like heart attacks, paralysis, pregnancy, accidents, insect bites etc in an efficient way and to search the optimal hospital to deal with that emergency. The person in an emergency or anybody at the emergency site will use the EMS application to avail the service. Our system has three main functions: emergency alarm, locating optimal hospital for the emergency and healthcare management. The alarm action will send emergency messages to optimal which is given by EMS and calls to the user’s family and the doctors. And the emergency message can include the location information, in order for the rescue stuff to locate the user. The whole methodology is shown in Figure I. An Atack L. et al. conducted a study to gain in depth viewpoints of highly experienced emergency medical service practitioners, educators, administrators and physicians on major issues pertaining to patient safety. It indicates EMS are not well aligned with ever increasing demand of health sector; therefore, change is needed in the EMS education in order to develop stronger clinical decision-making skills to improve EMSs. Therefore, we did exhaustive search of past literature; and found that some people had used decision making, operation research, simulation and IT tools to build system for best utilization of EMSs. They came up with their opinion as well as remarks. For example, Saini D et al. surveyed 39 paramedic students and practicing EMS personnel. They found that electronic decision support tools could provide “good accessibility” and “ease of use” to EMSs resources. Similarly, Fourny M et al. found that initial dispatcher's decision was inappropriate for 30% of EMS users with STElevation Myocardial Infarction and there was substantial delay in time to reperfusion therapy, therefore, accuracy of telephone triage should be improved for patients to mobilize EMS response. Literature also recommends that Operation Research techniques can be applied for building good decision making tools. 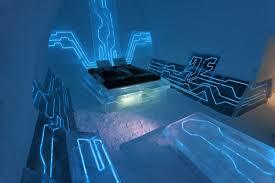 System Architecture is divided into two parts client or user side and server side. At user side all user function takes place like filling personal and medical details of user, send emergency, editing user information, etc. User android phone is connected with EMS server by internet. 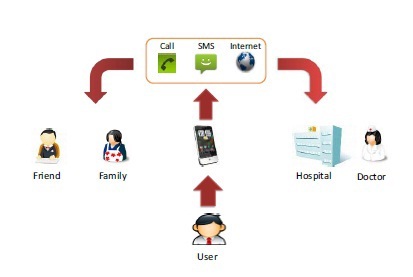 Searching optimal hospital , finding its distance from user, informing hospital about the patients location and emergency and informing patient about the hospital is done by EMS server. Database management is also done by EMS server. We conducted interview with some experts in emergency medical care to know their opinions about emergency medical services decision making and related problem. The interviewed experts were taken from steering committee members of Taipei City Fire Department, Trainers of Emergency Medical Technicians, and other experts in this area. We also collected some references to get experiences from other countries research. Based on literature review and the comments from experts, possible variables for decision making in the emergency medical services are ‘capabilities of hospital’ and ‘attributes of EMS stations’ As variables are also associated with economic, technological, social, and safety factors etc. ; therefore we classified variables based on Equipment Factors, Regulatory Factors, Professional Factors, and Environmental Factors. 1. Android is an open source. 2. EMS provides an optimal for Emergency patients. 3. User Friendliness and Cost effectiveness. 4. This application is an Android OS based. 1. Require GPRS connection every time. 2. Require Android based OS mobile. In current practice, EMS decide optimal hospital based on 'distance' whereas it also consider other variables like seriousness degree of patient, emergency room resources, hospital category etc. The EMS should guide an emergency patient to nearest and appropriate hospital and also inform the hospital about the patient’s emergency and his previous medical record. L. Atack L and J. Maher, “Emergency medical and health providers' perceptions of key issues in prehospital patient safety,” Prehosp Emerg Care, vol.14, no.1,pp.95-102,March 2010. M. Fourny, AS. Lucas, L. Belle, G. Debaty, P. Casez, H. Bouvaist, P. François, G. Vanzetto and J. Labarère, “Inappropriate dispatcher decision for emergency medical service users with acute myocardial infarction”, Am J Emerg Med., vol.29, no.1, pp.37-42, Jan. 2011.